The PDP includes participation in the Inquiry Institute, a Design Institute, and a teaching experience. 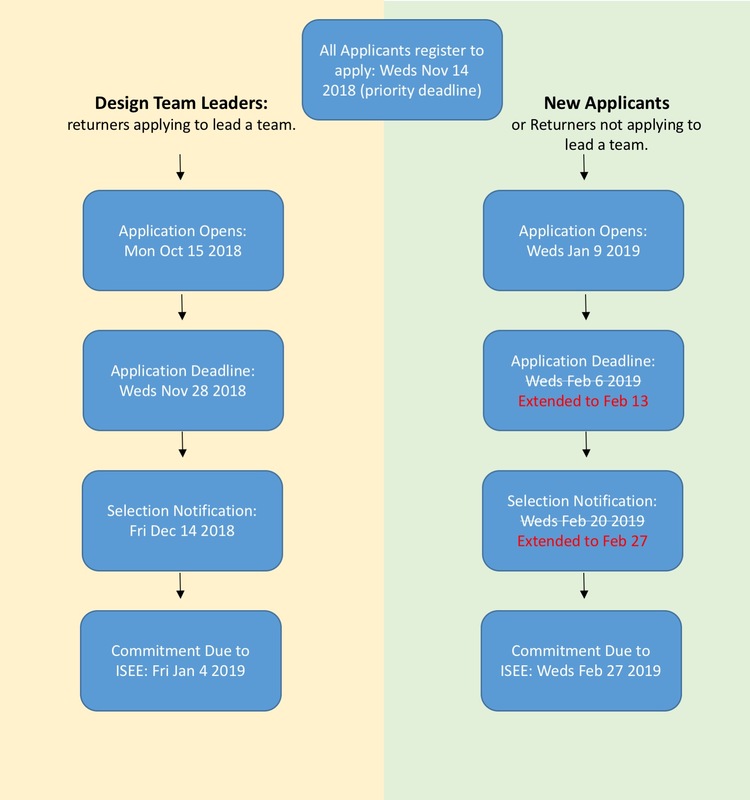 Advisors of PDP participants, or participants looking for resources to help get their advisor's approval to participate in the PDP, should review the PDP information sheet for advisors or supervisors. Step 1) All Applicants Register HERE. In this required step you will give us general information about who you are, and establish your interest in applying to the PDP. It should take no longer than 10 minutes to register. Early registration allows ISEE to scope the teaching venues and design teams prior to launching the formal application. Individuals that register before Weds Nov 14, 2018 will get priority in acceptance to the PDP, fee waiver and travel support. New Participant Application (and non-DTL returners) - click here for further information and application form. New Participant Application Deadline Extended! Apply by Wed February 13, 2019. Participants will be notified of Participation Status by Feb 27th, 2019.